There is a light at the end of the tunnel! Our kids’ weekend sports season is about to end and I couldn’t be more thrilled. We only allow our kids to play weekend sport during winter, as we like to reserve summer weekends for family fun in the sun. So each year with trepidation we allow our kids to enroll in sports, knowing the challenge ahead. This year, one daughter played netball, one played soccer and the other played hockey. Thankfully our son played his sport on weekdays. Each of our daughter’s games were held in different locations at roughly the same time. With bated breath every week, I would get the draw for each child and jump mental hurdles trying to work out how I could get each girl to their game. Sometimes their games would be located 200 kilometres apart, which was a real logistical nightmare. Thankfully we would car pool some weeks, so our child could take advantage of getting a lift the weeks we couldn’t physically be at each of our daughters’ games. On top of the actual game was the time dedicated to training sessions. Two of my daughters had two training sessions each week – one at 6.30am (on different days) and the other after school. I sometimes wonder how I managed to keep track of all the places the girls had to be and when! That’s eight commitments each week I can strike off our roster! You can imagine the relief that comes with that load being lifted. 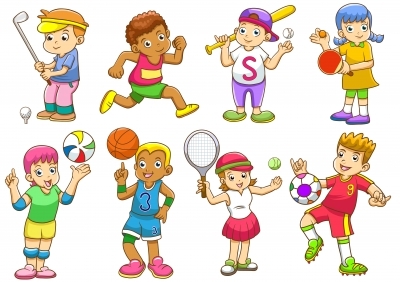 Of course, they will do additional sport over summer, but it will be local weekday sport to allow our weekends to remain available for rest and relaxation! Come Saturday afternoon, I will feel that I have regained some of my life back – that is until the kids sign up for winter sport again next year! Is it just me or do you also feel relieved when your kid’s sports season ends?